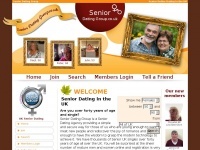 Mat­rimo­nial web­sites, or mar­ria­ge web­sites, are a varia­tion of the stan­dard dating web­sites. Mat­rimo­nial sites are popular in India and among Indians settled o­ver­seas, as an al­ter­nati­ve to the traditio­nal mar­ria­ge broker. Accor­ding to the As­socia­ted Cham­bers of Com­mer­ce and In­dustry in India, the online mat­ri­mony busi­ness is ex­pected to be a. Accor­ding to The New York Times, there are over. Mat­rimo­nial sites re­gister users, after which they are able to upload their profile onto a searchab­le databa­se main­tai­ned by the website. Online dating or In­ter­net dating is a per­so­nal intro­ductory system where in­divi­duals can find and contact each other over the In­ter­net to arrange a date, usually with the ob­jecti­ve of develo­ping a per­so­nal, ro­man­tic, or sexual rela­tionship. Online dating ser­vi­ces usually provide un­modera­ted matchma­king over the In­ter­net, through the use of per­so­nal com­pu­ters or cell phones. 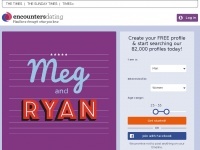 Users of an online dating service would usually provide per­so­nal infor­ma­tion, to enable them to search the service provi­der's databa­se for other in­divi­duals. 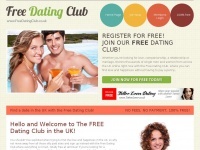 This is a partial, non-ex­hausti­ve list of online dating web­sites.